What a difference a year has made to the payer market. In late 2012 Chilmark Research published the first version of our Payer Benchmark report — detailing how leading payers were beginning to adopt emerging consumer technologies. We found a market where significant experimentation was occurring, but little if any broad, member wide deployments and a market still trying to understand social media. 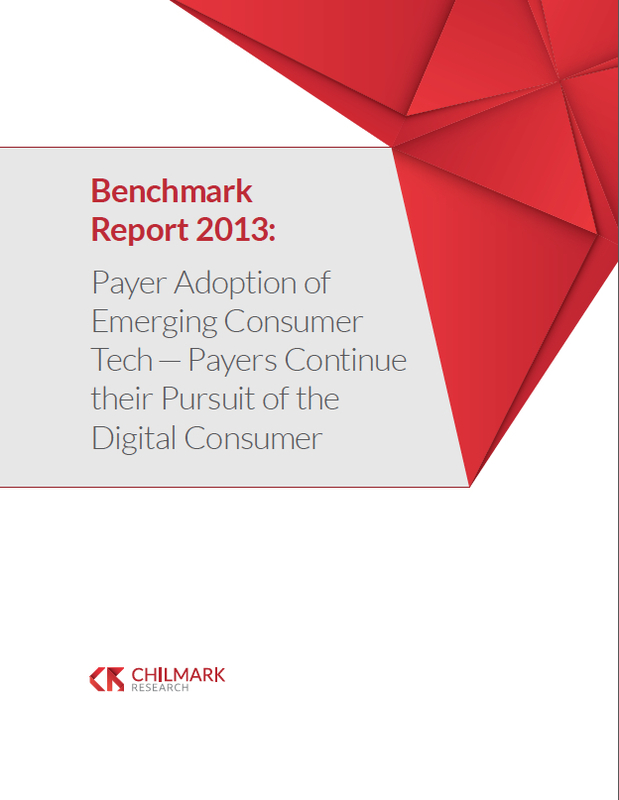 This week we are releasing the next iteration of this report – Benchmark Report 2013: Payer Adoption of Emerging Consumer Tech – Payers Continue their Pursuit of the Digital Consumer. Based on the research I conducted for this report, I find it simply amazing to see how this market has shifted over the course of a single year. For one thing, the traditional health insurance business model continues to erode, as the Affordable Care Act (ACA) has capped medical loss ratios (MLRs) and has completely stripped payers of their ability to underwrite based on health risk. Meanwhile, payer-provider realignment is ongoing. Hospitals are partnering directly with employers or launching health plans that might compete with payers in the employer market. Likewise, some payers are acquiring providers to more closely align financial interests with healthcare services delivered. All this bodes well for rising interest in payer-provider-aligned population health management and patient engagement technologies. 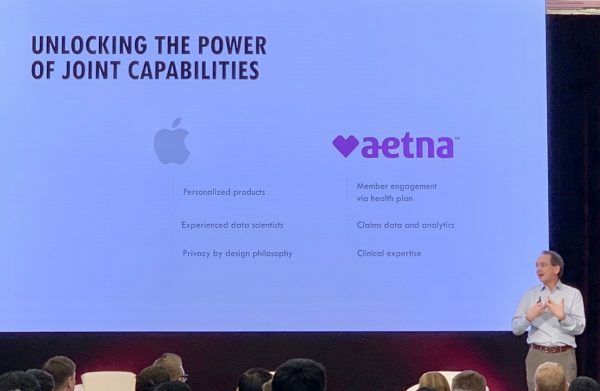 In addition, the ACA/Obamacare has come to be seen as inevitable, and Health Insurance Exchanges (HIX) are forcing payers to seek out new places in the minds of consumers and within the broader healthcare ecosystem — with an increasing focus on engaging and retaining consumers. Outside of healthcare, the consumer tech space continues to defy our expectations. It is easy to see how in the past year that emerging, low-cost activity tracking technologies have spread far beyond early adopters. These and other macro forces are pushing payers toward the digital consumer in ever more multi-faceted ways. For example, payers have drastically pulled back from their flurry of experimentation in 2012, and are now focusing their efforts into fewer, more precise areas where they foresee strong potential for ROI. One change from 2012 is the pull-back in creating mobile app versions of member service portals, as have health & wellness app launches. 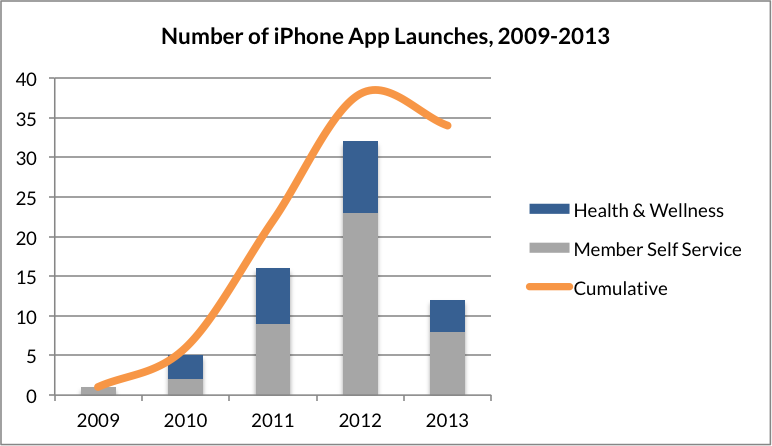 (This makes sense: in general, very few payer-launched or payer-owned mobile apps have gained any kind of significant traction, with iTriage as a notable outlier, and they already had good traction prior to acquisition by Aetna). While payers may have pulled back from rapid experimentation along certain lines, this does not mean that they have given up on the digital consumer. To the contrary, we continue to see growing investment in payer-owned consumer platforms, biometric tracking initiatives, the next generation of social media, and more… all detailed in the report. This report profiles an expanded set of payers as compared to the first edition, across commercial, Blues, and provider-aligned categories. These innovative payers are exploring the wild west of digital consumer engagement and learning as they go. The report describes their experimentation in detail, what initiatives are working and why, and where promising new territory might lie. Any organization that is looking to build-out a strategy that leverages consumer tech for member/patient engagement will find this report invaluable. We hope our subscribers enjoy the read…as much as we enjoyed the research.